Mach Desktop 4K | Mac App Storeのアプリ検索・ランキング BuzzMac! 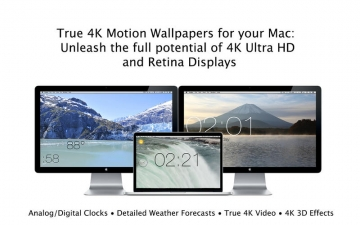 Mach Desktop 4K is the first (and only) 4K dynamic motion wallpaper application! 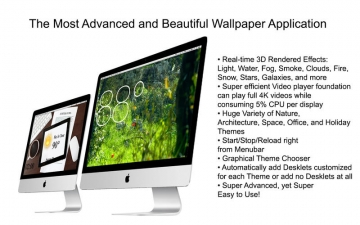 Mach Desktop 4K features 40+ stunning themes, with each theme featuring advanced 3D effects or breathtaking 4K Video, and the most cutting-edge and beautiful "Desklets" ever to grace a Desktop! 3D effects include but are not limited to: Light, Water, Fog, Smoke, Clouds, Fire, Snow, Stars, Galaxies, Quasars, even Black Holes, and more! Mach Desktop 4K also features a super efficient video player foundation that can play full 4K videos while consuming on average 5% CPU per display* Built on tested and proven technology, Mach Desktop 4K is the most advanced and beautiful application to ever live on your Desktop. Mach Desktop 4K works great on Retina (3K) displays as well! 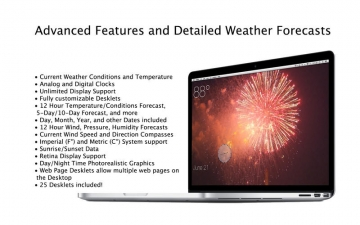 Unlike other apps, which only iterate through photos, play only mediocre videos, or include only one 3D rendered image; Mach Desktop 4K include all of these features and much much more! Desklets can automatically be added on a per-theme basis, and automatically customized and positioned for each theme. Or with the Desklet Manager, quickly customize Desklets' position, size, font, and colors (and Add Desklets) with a single click! You can even put Web Page Desklets on your Desktop, and our advanced Desklets not only feature weather, date, forecasts, and other detailed information; but detailed charts of projected temperature, humidity, wind speed, and more! 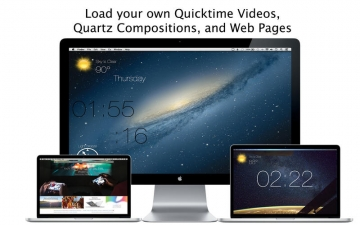 You can even load your own videos and quartz compositions; the options are limitless -- Mach Desktop 4K truly has no equal and is the only application of its kind! 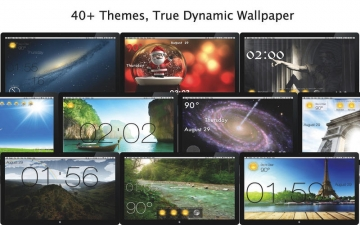 - 40+ Themes, with the option to automatically add customized Desklets or add no Desklets at all; the choice is yours!